Although PCX files used to be more popular a few years ago, when computer display hardware was still in its early days of development, you still might find yourself having to handle such a file today. Have you received a PCX image file by e-mail? Or discovered one on an old hard-drive? In any case, you will find such files are not supported by all image viewers, so handling them can be quite difficult. For this reason, we recommend converting your PCX files to a more popular format, such as JPEG. Using JPEG makes things a lot less complicated when you plan to send you images by e-mail, post them on-line or store them without taking too much space on your computer. All you need to do is use a powerful converter, which will quickly allow you to transform all your PCX files into JPEGs. One of the best options available is reaConverter, which can be downloaded for free at www.reaconverter.com, with a 15-day free trial period. 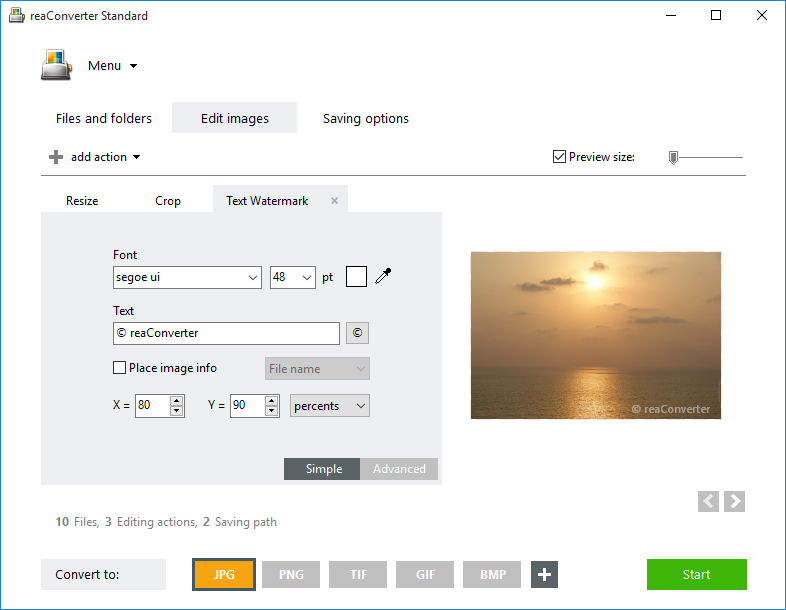 As opposed to other free image converters available online, reaConverter supports batch conversion for over 500 image formats. This means you will save a lot of time, avoid doing the same operations over and over again, and you will also be able to handle almost any conceivable image format. reaConverter installs quickly and is easy to use. Load any number of PCX files you need to convert and add them to the conversion list. Make full use of the image editing options supported by this converter. Here you can adjust the brightness and contrast of your photos, add filters or image effects, as well as watermarking. 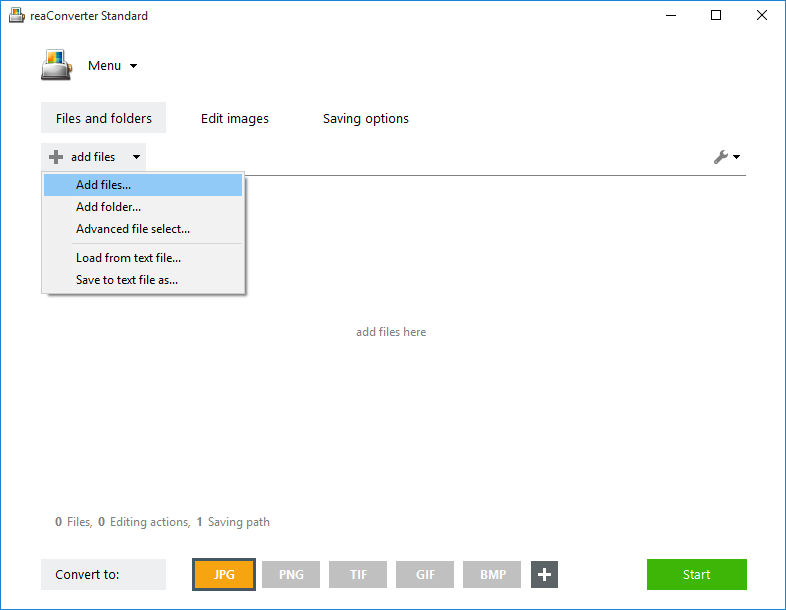 Other useful options include rotating and resizing your images, cropping and repairing the image, removing noise, and many more. After choosing each image editing option you can tune it up and see in real time how the image will look like. All you need to do is tick the Preview box. Choose the destination of the output file and its format. Pick JPG from the dropdown menu and spend a few more moments exploring other available options before conversion. Here you can opt for overwriting the initial image file or deleting it after conversion. You can also rename the output files by picking a standard format for the modified name. After completing all these options, start the conversion and quickly enjoy your images in their new and more accessible format. 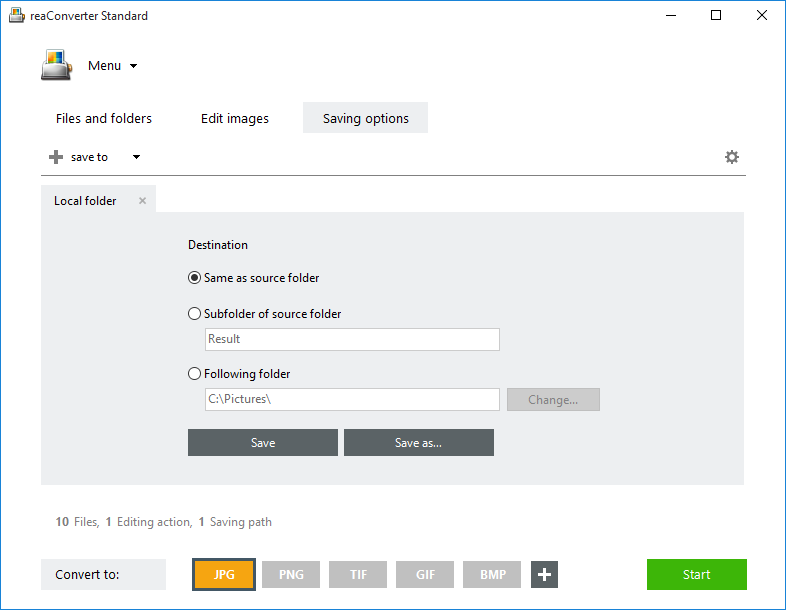 Advanced users can convert PCX pictures automatically using Command Line Interface, Watch Folders, or DLL. You are welcome to contact our technical support when you have any questions about reaConverter. This entry was posted in Image conversion and tagged jpeg, pcx on September 21, 2015 by reaconverter.